On the harvesting, curation, preservation, discovery, access and analysis of web archives. 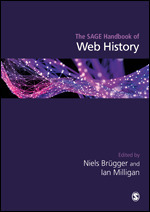 My chapter in the new Sage Handbook of Web History is now published. I summarise it here. The literature on the phenomenon of religion in computer-mediated contexts is now very large, having built up over two decades. That literature is also produced both in, and in the spaces between, more than one discipline: Internet Studies, which concerns itself with the nature of the medium); the sociology of religion; and from scholars of religious studies concerned in particular with the relationship between religion and the media in general. The disciplinary labels vary between countries, but however it is named, little of this writing concerns itself directly with the kind of questions that most preoccupy historians. This essay surveys the current state of Web history as it relates to religion, and falls into two halves. Its first half attends to some debates of particular historical and methodological note with which the emerging history of religions on the Web may fruitfully be brought into conversation. These include debates concerning both the Web itself as a technological system, and religious responses to technological change in general. It then sets out some points of contact between Web history and three key themes in contemporary religious history: secularisation; religious radicalism; and the place of religion in civic life and the law. 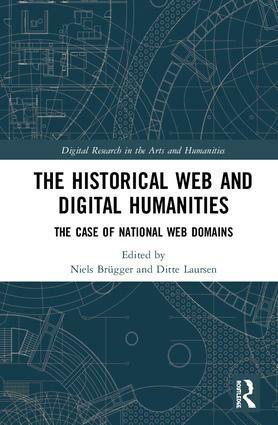 It also argues for a fresh integration of the Web, and the archived Web in particular, with the study of offline religion, in pursuit of an ideal state in which the archived Web is merely one of many kinds of primary sources with which historians work. The second half then takes a fourfold schema of different aspects of religions as they may be studied. The first of these is doctrine and religious knowledge: the symbols and forms of words that describe the divine, the world, the human person and their interrelations. Second are religious organisations and their representatives (clerical or lay). Third is religious practice: communal and solitary activities of prayer, worship and other rituals. Finally, the section on religions and the Other deals with the modes in which religious people and organisations encounter those outside: as potential proselytes, as discussion partners about wider social issues, and as antagonists. In each case, I identify the current state of research and set out elements of an agenda for future Web history research.